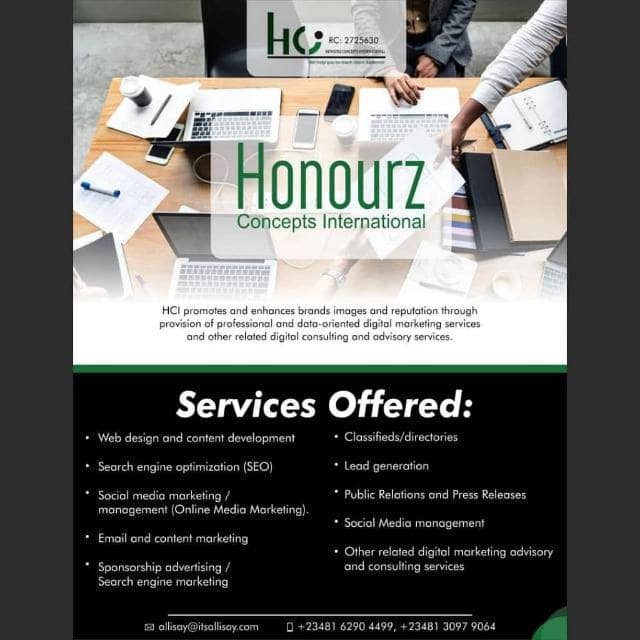 Valentine is here and Honourz Concepts International has got an exciting offer for your business. With as low as N30k, approximately $90 USD, Honourz Concepts International creates astonishing Websites and Blogs. HCI promotes and enhances brands images and reputation through provision of professional and data-oriented digital marketing services and other related digital consulting and advisory services.